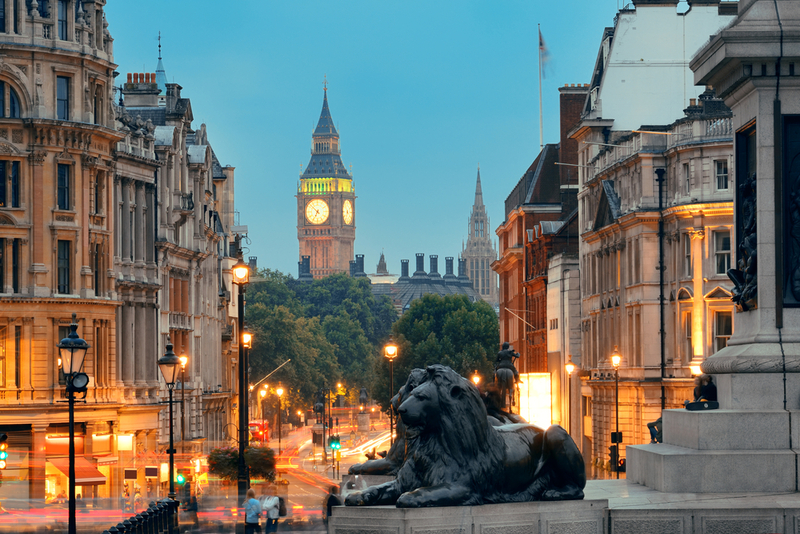 Nelson’s Column is one of the most iconic structures in London and is located in the famous Trafalgar Square. The monument was built to mark the life of British naval figure Admiral Horatio Nelson, who died at the Battle of Trafalgar in 1805. Built between 1840 and 1843, Nelson’s Column has a rich and varied history so here is our guide all about the London landmark. 1. The opportunity to design a new structure was decided in a long-running competition. William Railton was the initial winner, but the decision was overturned. However, his design was named the winner in a re-run. 2. The monument in a style of ancient Greek and Roman architecture, with features including slender fluted columns and elaborate capitals, acanthus leaves and scrolls. 3. It cost £47,000 to build Nelson’s Column in the 1840s – equal to around £3.5 million in today’s money. Most of the money came from private investors, with the Tsar of Russia putting up around 25 per cent of the bill. 4. Dartmoor granite was used to make the majority of the column and it is estimated it weighs around 2,500 tonnes. 5. On top of the column is a 5.5 metre statue of Admiral Nelson. The figure was designed by Sir Edwin Landseer and is built out of sandstone rather than granite. During a lightning strike in 1896, a small part of Admiral Nelson’s shoulder was chipped by a bolt of light. 6. The original plans were for a 62-metre column but it was made shorter because of concerns over cost. However, when the column was measured in 2006 as part of a renovation project it was actually 4.4-metres shorter than it was thought. The official height of Nelson’s Column is 51.6 metres and a number of high-profile people have had the pleasure of climbing to the top. 7. The four bronze lions that are at the base of the column were added to the monument in 1867. It is assumed they are all identical, but in fact there are small differences between them all – trying spotting them during your visit. 8. During the Second World War, Adolf Hitler had plans that if Germany won the war he would move Nelson’s Column from London to Berlin to celebrate the victory. The closest mainline station is Charing Cross, which is a four-minute walk from Nelson’s Column. 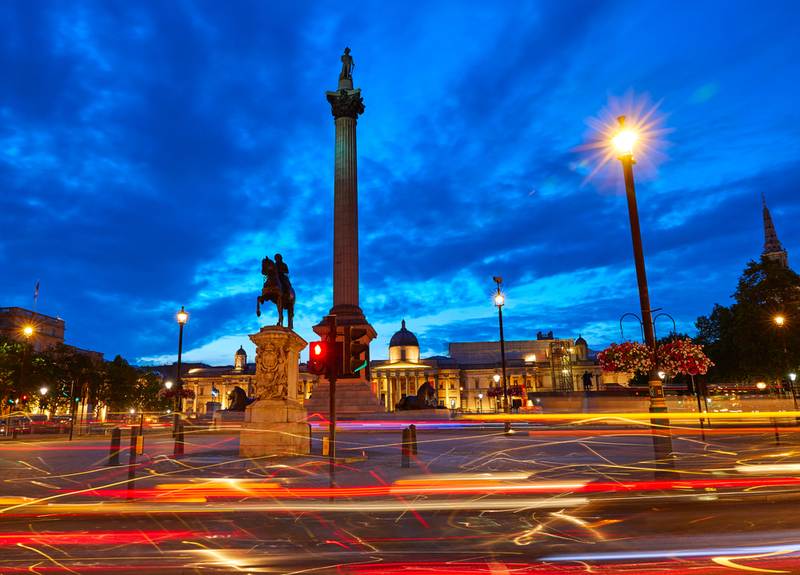 Share the post "Interesting Facts About Nelson Column"
This entry was posted in London Travel Guide and tagged London Travel Guide, Things to do In Nelson Column. Bookmark the permalink.